So, the USA won the ‘medal count’ in the 2016 Olympics in Rio de Janeiro. That said, I need to put in a disclaimer before going any further: I am a sworn enemy of the way Olympic medals are counted. Some list the nations by gold medals. Some list by total medals. There used to be a scoring system: 3 for gold, 2 for silver, 1 for bronze. Or, variations of that: 10 for a gold, 7 for a silver, 5 for a bronze. Something like that. Whatever, the present system is pretty much universal. That is, you’ll see the same medal table on the web site of La Gazzetta dello Sport, here in Italy, as you will see on the ESPN web site in the USA. Over the years, this has become … accepted. Here’s the problem with that. A girl will get one gold medal for doing two vaults in gymnastics in the space of one hour, while the USA Basketball team will get the same one gold medal for winning eight games in two weeks. That, to me, is insanity. 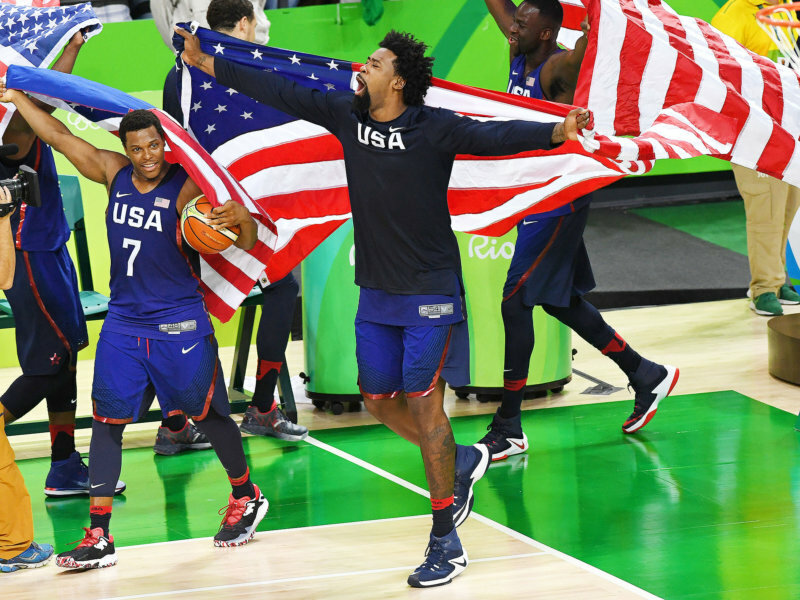 Here’s the way the medal count should go, in my opinion: If the USA wins the gold medal in basketball (which they most certainly did), and if they have 12 players on their team (which they most certainly did), then the USA should get TWELVE gold medals added to their total. Same with the 4 x 400 relay in Track & Field … which should get four gold medals. Same with the 400 meter medley relay in swimming … four golds … not one. So, how did this system come about? It was our old friends in the USSR, who began participating in the Olympics in 1952. They knew they were going to get their rear ends kicked in basketball, track relays and swim relays. So, they campaigned to stack the deck in their favor. Unbelievably, the world accepted this. All the Warsaw Pact nations got in on this. East Germany? Basketball? Are we insane? They put those tall guys where they could win medals: rowing. And, they piled up medals in the rowing events, while we didn’t and while we got just one medal for team sports (basketball, volleyball, etc.) and relays (track and swimming). I sent out a post on this after the 2012 Olympics but I can’t find it in my file. Well, maybe it was 2008, after China ‘beat’ us in the medal count. I put together a chart using my scoring system … 12 for basketball and not just one … and we beat China in the medal count. That doesn’t mean the USA and China are the two most powerful sports nations on the planet. In fact, as the ‘population per medal’ chart below shows, the USA is 43rd and China is 75th. Of course, small nations are favored here. But, you have to respect that Australia, Great Britain, France and Canada did in Rio. So, there are a lot of ways to examine medals. I just happen to like mine best.